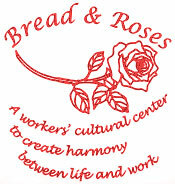 All T’s Are Union Made. 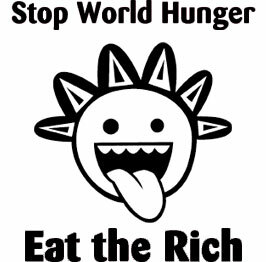 All shirts are $18.00 each. We will contact you if a T shirt is not available in a selected size. 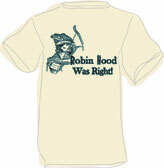 T shirts are available in black on natural white (ivory) unless otherwise specified. Click on the Add to Cart buttons to use the PayPal shopping cart. I’d like to place an e-mail order. SHIPPING: Shipping will be added in the shopping cart. 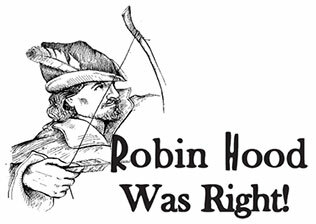 For orders of five or more shirts and for foreign orders, inquire here first. 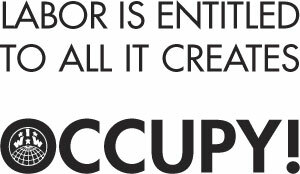 Labor Is Entitled to All It Creates – OCCUPY! 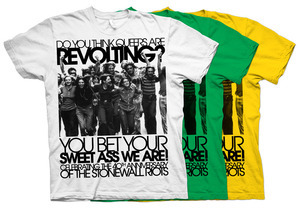 Note also that the shirt currently reads: Do You Think Queers Are Revolting? Ludlow Memorial Shirt, 2003. Designed especially for the Ludlow annual memorial. Limited availability. Black on natural shirt. 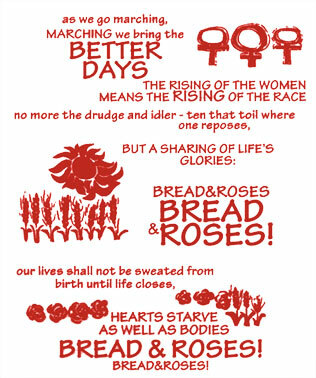 For detailed information on the Ludlow Massacre visit: Rebel Graphics. 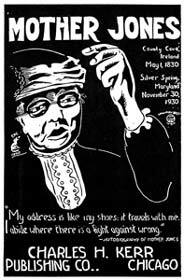 Courtesy of IWW Artist – Carlos Cortez, we are proud to be able to offer this hand carved woodblock print of Mother Jones. Black on natural shirt. 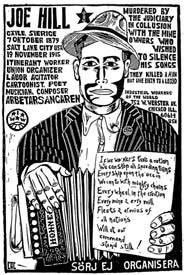 Courtesy of IWW Artist – Carlos Cortez, a beautiful hand carved woodblock print of Joe Hill. Black on natural shirt. 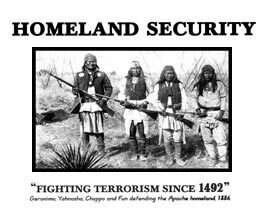 Homeland Security. Geronimo, Yahnozha, Chappo and Fun defending the Apache homeland 1886. 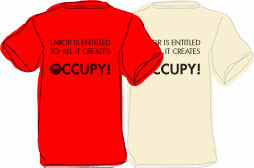 Colors: Red text, black image on natural white shirt. 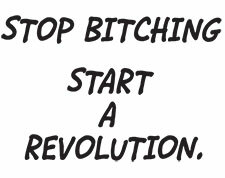 Stop Bitching Start a Revolution. Black on natural shirt. 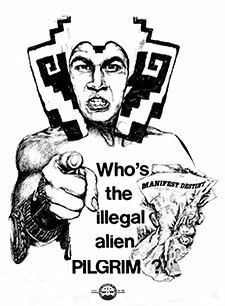 Who’s the illegal alien, PILGRIM? Black on natural shirt. 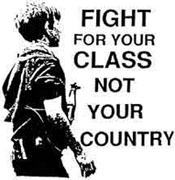 GOT DEMOCRACY? Black on natural shirt. NO HUMAN IS ILLEGAL. Black on natural shirt.